Specialized real estate services for buyers and sellers in the tri-county communities of Gorman, Quail Lake, the western Antelope Valley/Neenach areas, all lying in NW Los Angeles Co.; the southern Kern Co. communities of Lebec and outlying areas of Frazier Park; plus the community of Lockwood Valley, lying in NE Ventura Co. 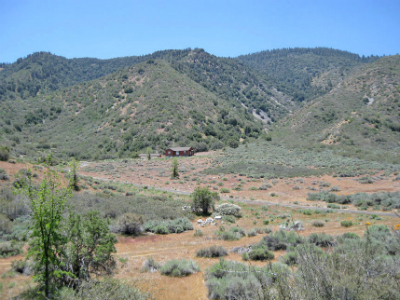 Located approximately 60 miles north of Los Angeles, our vast rural area offers mountain serenity with picturesque vistas, to the open plains of the Antelope Valley, to the high mountain expanse of Lockwood Valley. Elevations range from 3,000 ft. to over 5,000 feet offering four seasons and infinite clear blue skies. Our specialty is in representing clientele in the purchase and sale of acreage and ranch sites, both large and small, along with commercial sites adjacent to the Interstate 5 corridor. Easy property search broken down by area and price.